Mangopay Payment Gateway for Virtuemart: Joomla Virtuemart MangoPay payment gateway is one of the magnificent Virtuemart payment gateway add-ons. It provides an option to choose transaction mode i.e DIRECT or WEB. 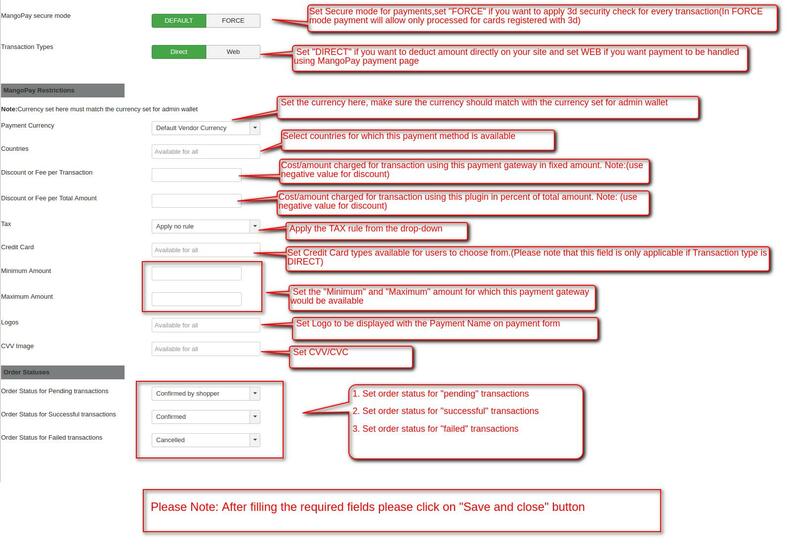 The payment gateway provides complete 3D- secure payment system also, refund option is available for admin. 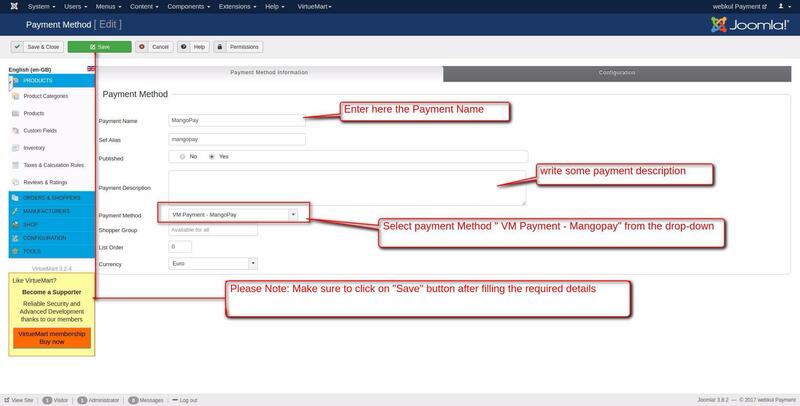 Browse the ‘Joomla Virtuemart MangoPay Payment Gateway’ zip file and then drag and drop. To create a new payment method, go to Virtuemart payment method. Click on “new” to create a new payment gateway. Now fill the details on the page to create a new Mangopay Payment method. 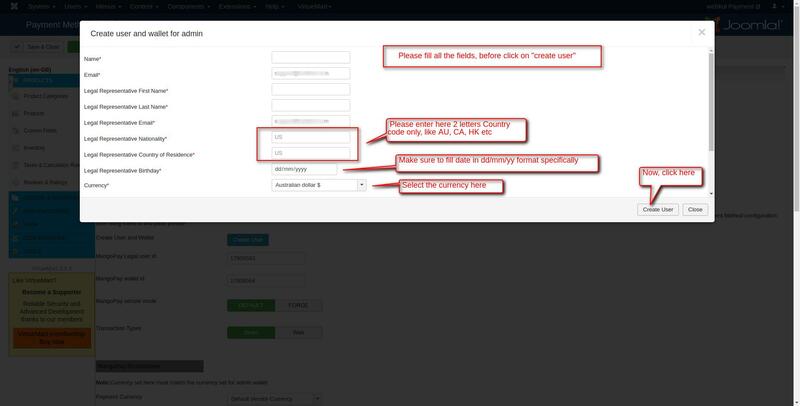 Go to “configuration” tab as shown below in the snapshot and fill the required details. In order to create User, please follow as mentioned in the below image. Now, after creating User “MangoPay Legal user id” and “MangoPay wallet id” both will be auto-filled, so proceed to complete the configuration. To get the Mangopay client ID and Mangopay Passphrase by creating an account on Mangopay and follow the link provided. If “Transaction Type” is set “Direct” the shopper can fill card details on your checkout page. 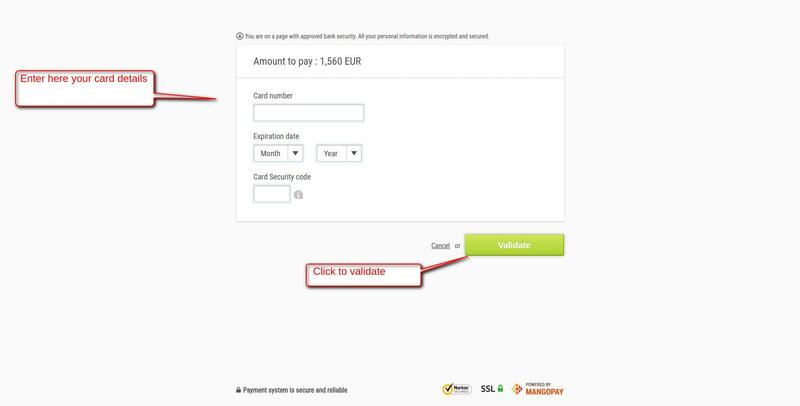 If “Transaction Type” is set “Web” the shopper will redirect to MangoPay payment page for entering the card details. 3D- secure validation, here shopper has to enter his/her 3D-secure password to complete the payment.